On September 21, 2018, Apple proclaimed their next generation of smartphones, in the form of the iPhone XS. This model resembles the return of the iPhone X model. 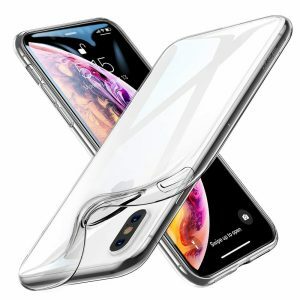 With this release, many top accessory manufacturers declared their finest iPhone XS cases. There is no need to worry about how to keep the sleek and well-built design of iPhone XS intact. This is because there are lots of iPhone XS cases available in the market. The top-tier protective case works to present military-grade shock absorption as well as scratch resistance to every side of iPhone XS. It may be difficult to choose the best iPhone XS case. Here’s our list of Top 10 Best iPhone XS case. The ESR tempered glass black cover is dedicated to retaining the original beauty of your iPhone X. It mimics the smooth glass back of your iPhone and simultaneously offers an excellent grip. 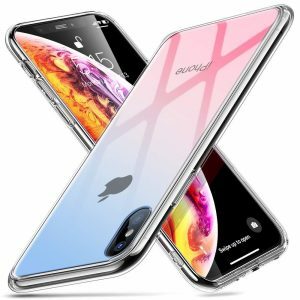 You can rely on its long-term use because it is made up of 9H tempered glass back with cushioned TPU Frame to present all-round protection to your iPhone smartphone. 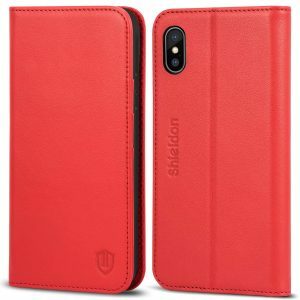 The additional defining feature of this case is it is compatible with the 5.8″ iPhone XS. This company assures scratch-resistant use for long-term. Even if you use the case on daily basis, its tempered glass back would not be scratched. There is the inclusion of special four-corner design that makes it glass non-slippery even on flat surfaces. A significant feature of this case is there is a raised lip present around the camera lens as well as around the front part. Therefore, when you place the phone on flat surface, the case protects your screen and camera from external parameters. Another TPU case for iPhone Xs from ESR, this case is very lightweight and thin in design. Its thickness is just 1mm, so it would not add bulk to your iPhone. Its design is so crystal clear that you can exhibit your iPhone’s original style. 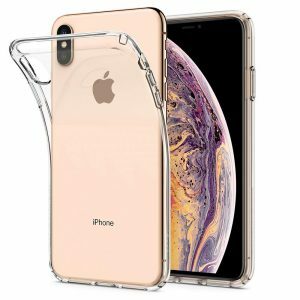 With the help of soft TPU, the case presents enhanced protection than tough PC/PP for the glass back of iPhone XS. The case is dedicated to offer screen and camera protection with the use of the elevated camera as well as screen edge. This exclusive design would protect your iPhone’s camera and from scratches. You can perceive its micro dot pattern that would prevent the clinging issues. In this way, your iPhone XS would attain clean-looking and uniform fit. 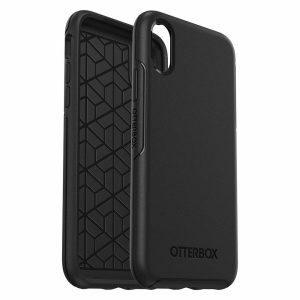 This case from OtterBox uniquely blends protective and stylish features in one. It is known that the Symmetry Series consists of the protective and slim case that promotes contemporary style. To ensure flawless operation for a long period, the case comes with buttons and functionalities. The case is extremely easy to remove and install. This aspect is found useful with every pattern and color. 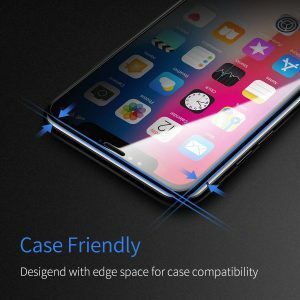 Discussing its compatibility, this case is found compatible with iPhone XS and iPhone X. The qualities that customers liked the most are its sleek, thin, stylish and pocket-friendly design. In order to complement modern style, the case comes with wraparound colors as well as graphics. The feature of durable protection protects the iPhone against drops, fumbles, and bumps. Moreover, the elevated and beveled edge protects the touchscreen. If you are looking to fit your iPhone XS in a pocket, bag or purse, so you can carry it anywhere then go for this Commuter series case. Equipped with two tough layers, your iPhone would stay protected against dust, drops, scratches, etc. The provision of an internal slipcover and exterior shell would shield your iPhone from damage. It is found that the case has supported Qi wireless charging in many other devices. This case can be easily slide into and out of the pockets. 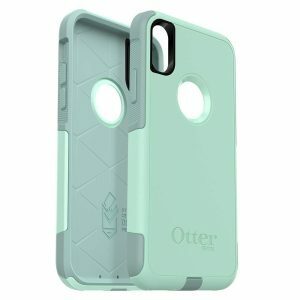 It comes with a “lip” that accompanies the iPhone screen, therefore if you drop it, this case would hit the ground first and protects your smartphone’s screen. Basically, it is a sleek, lightweight and eye-catching case. 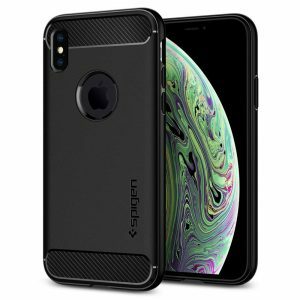 The Apple iPhone XS case from Rugged Armor is found to be a fan favorite for the style and protection covered in a single layer. Its signature look includes a timeless non-shiny black surface accompanied with carbon fiber details. What makes it unique from its competitor case model is the implementation of Air Cushion Technology. This technology would absorb shock in every impact. Furthermore, the elevated edges shield the camera and screen of iPhone. 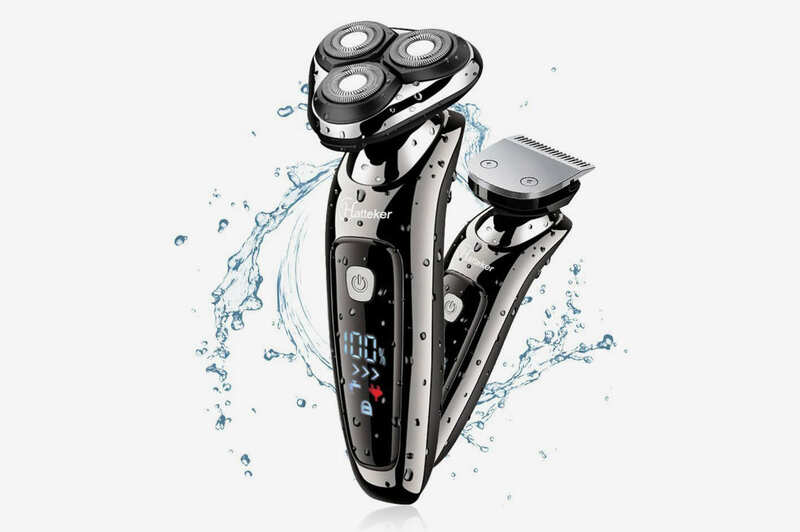 The precise cutouts design facilitates quick access without any delay. It comes with the Mil-Grade Protection to ensure comprehensive protection of your iPhone. Designed with the Unicorn Beetle Style, this iPhone XS case from SUPCASE blends an appealing and simple design. The design is packed with the consistent drop protection as per the expectation. 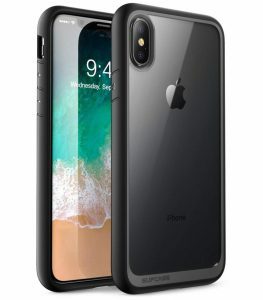 This case would protect the edge of your iPhone XS with the inclusion of shock-absorbent and wraparound TPU bumper. Furthermore, the fragile body of the smartphone stays protected with this type of construction of the case. There is a clear back panel that shields your iPhone smartphone from scratches. On the other hand, the raised edges accompanied by the bumper protect your screen as well as camera lenses from the touching surfaces. 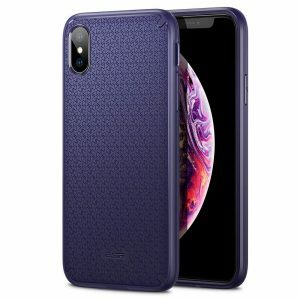 The iPhone XS case from Ainope is particularly designed to let it compatible with iPhone XS with ultimate protection. Its appealing aspect is the leading arc cutting technology. It is found that the case is coated with oleophobic and hydrophobic clear layers. Therefore, the glass stays protected against perspiration, oil residue and also from fingerprints. Its design is ultra-clear that features 0.33mm premium tempered glass and light transmission rate up to 99.9%. This kind of construction conveys excellent touch feeling. When you use it, you would gain complete access to all functions, buttons, touch ID, as well as face recognition. This durable and cushioned TPU full-body inner case incorporates cushioned shockproof edge and guarantees your iPhone against bumps and drops. The case is dedicated to present comprehensive protection for your smartphone. It is found that this case is manufactured from a material which is none other than the top layer genuine cowhide leather. The hides of the cover are chosen for strength, quality, character, and grain. When you use it, you would feel stylish and soft fit. If you want to keep money and cards, the case comes with three card slots and one side pocket to keep the money. The inclusion of concealed magnetic closure works to save all your valuable items in a single place, in a secured manner. Your iPhone XS would experience extra cushioning to stay protected against drops and abrasion when covered with this slim case. Its meticulously designed air-guard corners provide enhanced grip. The superior TPU material is found to be flexible and lightweight which shields your smartphone’s glass back. Another defining feature of this case is easy to install and remove. With the help of an elevated camera and screen edges, your iPhone XS would get protection against scratches whenever positioned on a flat surface. Comfortable grip is ensured with the help of a textured and non-slip surface that presents comfortable control. This case is compatible with iPhone 5.8″, iPhone XS and iPhone X as well. The Liquid Air based case for the recently released iPhone provides great durability with a contemporary look. In order to convey a simple design, a geometric pattern is imprinted into the matte-finished flipside. Overall design lets you hold it easily in your hand. You can stay stress-free regarding marks of fingerprints on your phone because the case is resistant to fingerprint marks. The case’s flexible single layer is intended to be sleek and pocket-friendly. This type of design guarantees quick wireless charging. It comes with the reinforced buttons to assure swift responsiveness. The inclusion of durable anti-slip TPU material would keep your phone lightweight and simplifies the installation hassles too. For the price offered, it is a wise decision to buy this iPhone XS case. When purchasing an iPhone, you need to focus on the case as well, in order to guarantee comprehensive protection against external parameters. You can focus on design aspects, functionality, grip, resistant against dust, scratches, drop, etc., while deciding to buy the best iPhone XS case. Based on your needs and budget, you can pick the one from the list above. We hope you get the suitable iPhone XS from our list.